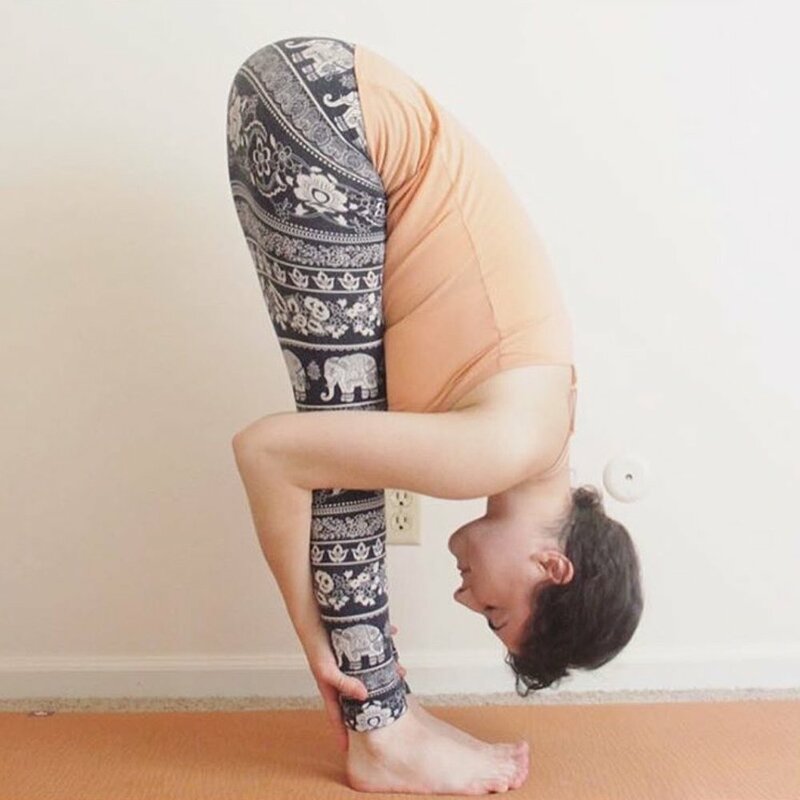 This is one of the first yoga poses I learned! It targets the upper back, which can become tight from all of the time we spend hunched over our phones, our desks, etc. So poses like this one are something I am ALWAYS needing. 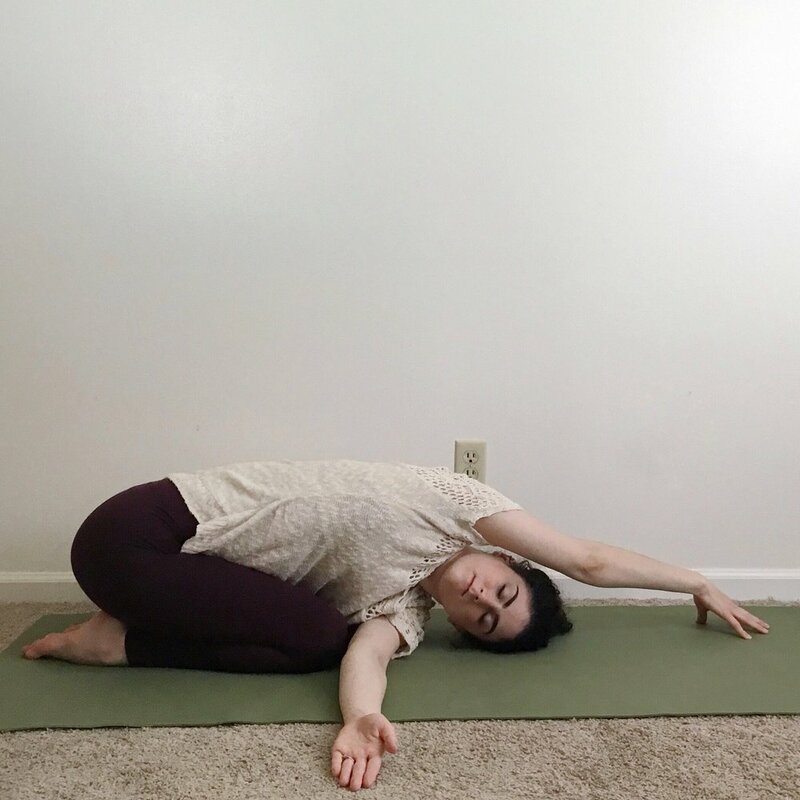 This pose is often referred to as thread the needle, but you may also hear it called revolved child’s pose. 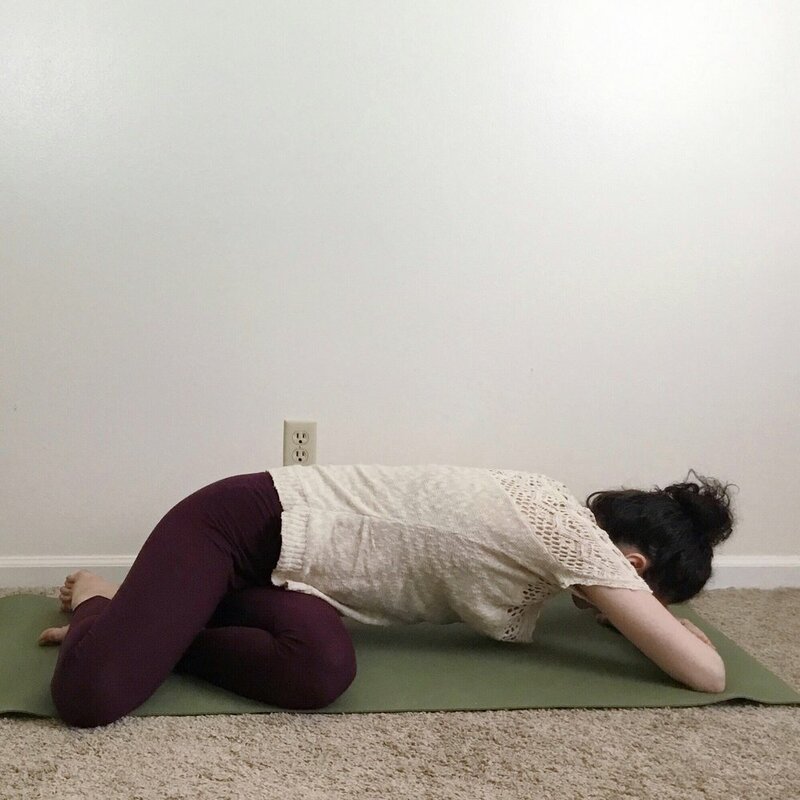 Come onto your hands and knees with the knees directly below your hips and your hands directly below your shoulders. Bend the right elbow, begin to twist toward the right, dropping the left shoulder toward the earth, then "thread" the left arm through. Rest the left temple and left shoulder on the floor. Once you feel stable, you may extend the right arm overhead to create space in the right side of the body. In this twist, it's normal to feel the hips shift slightly off center. This is okay! It's your body's way of protecting the integrity your pelvis and sacrum. Hold this pose for 5-10 deep breaths, then practice on the opposite side. Instead of stretching the top arm overhead, you can keep the elbow bent and the palm resting on the floor beneath the elbow at a right angle. Press into the palm of your hand if you would like to deepen the twist. Adding a blanket under the knees and curling the toes under may help to relieve knee discomfort in this pose. 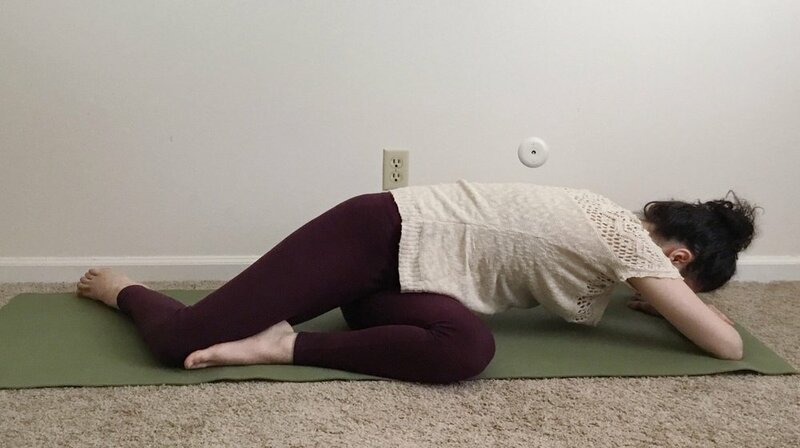 Instead of staying up on the knees, you can do this twist from child's pose with the hips on the heels. This takes a lot of weight off of the knees, and it requires less upper body strength to hold this variation. The top arm can be bent or stretched overhead. 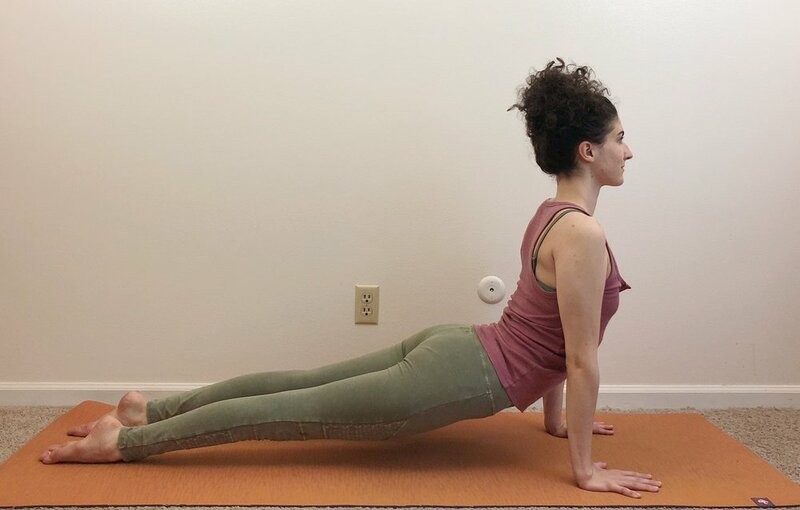 From Tadasana, hinge at the waist and bend forward, reaching the fingertips toward the floor or grasping the backs of the legs. 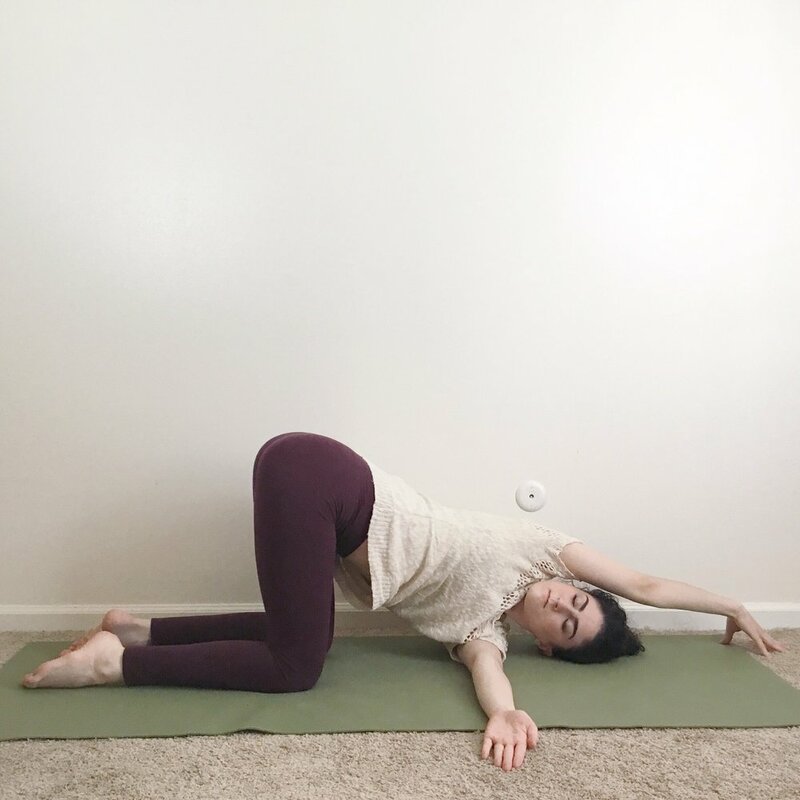 Tilt the pelvis forward and draw the lower belly in to create extra length in the backs of the legs. Keep a soft bend in the knees to prevent locking the knees. The feet can be together or hip distance apart, whichever is most comfortable for you. Hold for 5-10 breaths. If you are unable to reach the floor, that’s ok! 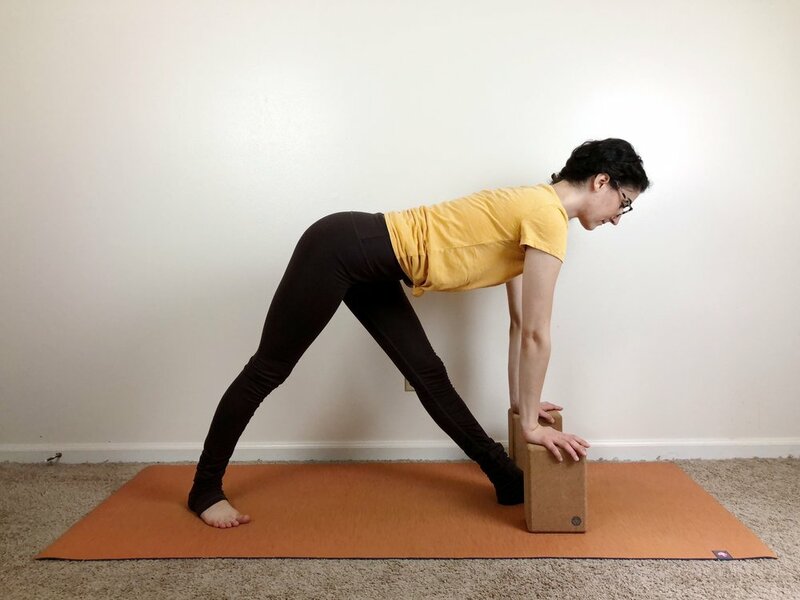 You can modify this pose with a strap under the feet to help you create length in the spine and hamstrings. Or you can use a block or chair to bring the floor to you. 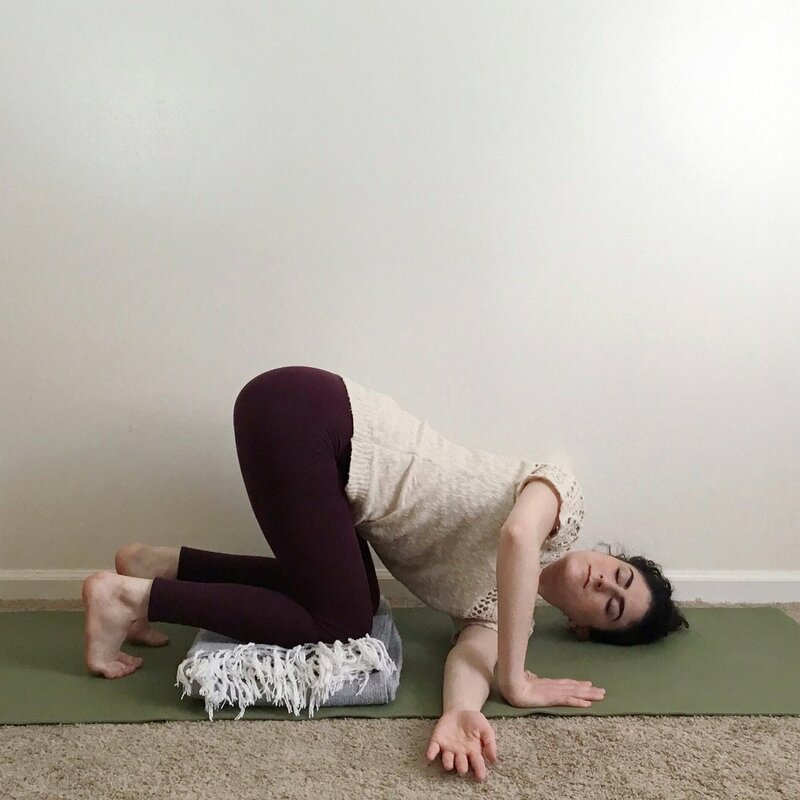 If you struggle with fatigue or have difficulty balancing, you can modify this pose with a chair. This will also lessen the intensity of the hamstring stretch. Come into a seated position away from the back of the chair. The feet are flat on the floor, ankles directly below the knees. Hinge at the waist, reaching for the floor with your fingertips. Let the chest rest against your thighs and relax the head and spine. Hold for 5-10 breaths. To come up, press the palms of the hands into your thighs and slowly rise.